Earlier this week, when I was writing about the potential for generating electricity from tidal power, something stood out to me. I don’t have a reliable resource for understanding energy quantities. I mean, how much is a terawatt — and don’t just tell me it’s 1,000 gigawatts, because that doesn’t help. Or, if I see that Michigan is installing 200 megawatts of wind power, it’s not immediately obvious (at least to me) whether that will satisfy a little or a lot of the state’s electricity needs. Here at Climate in Context, the blog posts typically cover recent climate change news. But I also think it’s a perfect place to experiment with some useful energy comparisons, for everyone’s benefit. Today, I’m keeping things really simple, using easy-to-understand examples. Next week, I’ll delve into some more surprising comparisons. I’d also love to hear your ideas on some effective ways to explain different amounts of energy. Eventually, we’ll choose the most compelling comparisons to develop a graphic — exactly the kind that I could have used the other day. A note before I go any further: Units of power (like a watt) represent the rate at which energy is used or generated. When you want to know how much electricity an appliance has used, however, you need to consider how long it was running. If you’re interested in the actual calculations, I’ve included them at the bottom of the post. One watt (W) is actually pretty small, so let’s consider an average 100 W incandescent lightbulb instead. A 100 W bulb that burns for a year without being turned off consumes the same amount of electricity as can be generated by 700 pounds of coal.1 That’s as much coal as would fill three giant suitcases. What about one compact fluorescent bulb, with a 27 W rating? That’ll burn more like a small carry-on suitcase of coal. 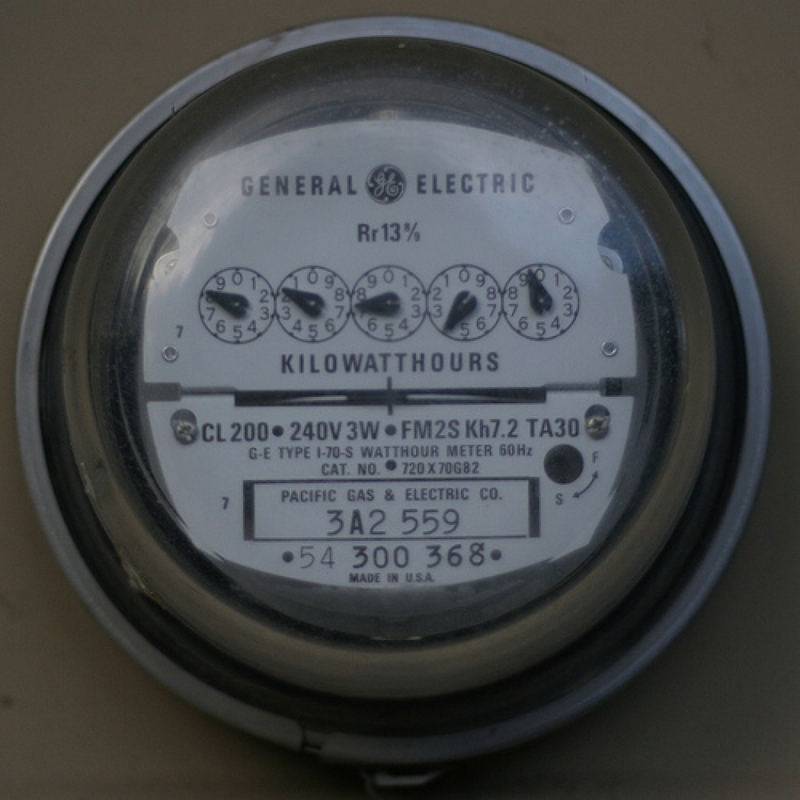 By the time you add up all the power going into lights and appliances in your home, you get into the realm of kilowatts (kW). In fact, some appliances actually use kW of power each (like an electric hot water heater, for example, that might use 2 or 3 kW of power). Combining everything in the typical home, the average American household consumes as much electricity as can be generated from about 4.7 tons of coal2 — about the same weight as an adult elephant. Coal and nuclear power plants also typically generate gigawatts of power. The Indian Point nuclear power plant, located just outside of New York City, has the same power rating as Hoover Dam (Indian Point has two 1 GW reactors). But electricity is generated more efficiently at a nuclear power plant, so Indian Point can serve nearly 1.4 million homes. And at more than 3.5 GW, Plant Bowen in Georgia, the largest coal power plant in the U.S., can provide electricity to about 1.9 million homes. Terawatts (TW) are millions of megawatts, and this is a helpful unit when you’re talking about the rate at which humans are using energy worldwide. In 2008, for example, humans used energy (this includes all types of energy, not just electricity) at an average rate of about 16.5 TW of power — the U.S. consumed about one fifth of that, at 3.3 TW. A 100 W bulb, if burned continuously for a year (or 8,760 hours, in other words) will use 876,000 Watt-hours (100 W x 8760 h), which can also be written as 876 kW-hours. 1) Coal power calculations: Each ton of coal can generate about 2,500 kW-hours of usable electricity — that’s an average, however, because some types of coal pack more punch, making more electricity, and some generate less. To produce enough electricity for a 100 W bulb lit for the entire year, you would need 0.35 tons of coal (876 kW-h divided by 2500 kW-hours/ton). And 0.35 tons is the same at 700 lbs. 2) Home energy calculations: According to the U.S. Energy Information Agency (EIA), in 2005 the average American household consumed 11,476 kW-hours of electricity each year. From here, you can calculate the amount of coal needed to generate the same amount of electricity, according to the calculations in (1). 3) Wind energy calculations: A wind turbine rating of 2 MW indicates the maximum amount of power it can produce. But when the wind isn’t blowing strongly (or at all), much less power is produced. Over the course of a year, you can often assume that a wind turbine will produce only about 25 percent as much electricity as it would if the wind were blowing strong enough to match that power output. This 25 percent value is the estimate the EIA uses for land-based wind turbines. If a 2 MW turbine were to run all year at maximum power, it would produce (2 MW x 8760 hours) 17,520 MW-hours (or 17,520,000 kW-hours). But if we assume it only produces a quarter of that, it would be 4,380,000 kW-hours). 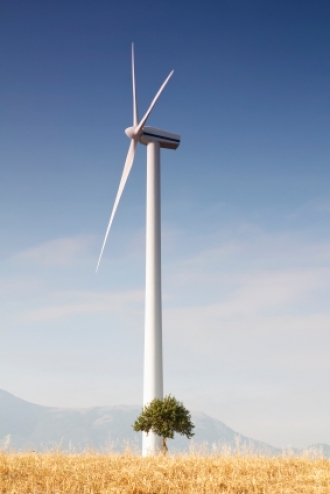 Each house uses 11,500 kW-hours, so about 380 homes could get electricity from one turbine. 4) According to the U.S. Bureau of Reclamation, Hoover Dam generates an average of 4.2 billion kW-hours each year. Again, if each home consumes 11,500 kW-hours of electricity, then the dam is producing enough electricity for about 350,000 homes.